Mr Gönenç Gürkaynak is a founding partner of ELIG Gürkaynak Attorneys-at-Law, a leading law firm of 90 lawyers based in Istanbul, Turkey. Mr Gürkaynak graduated from Ankara University, Faculty of Law in 1997, and was called to the Istanbul Bar in 1998. Mr Gürkaynak received his LLM degree from Harvard Law School, and is qualified to practise in Istanbul, New York, Brussels and England and Wales (currently a non-practising Solicitor). Before founding ELIG Gürkaynak Attorneys-at-Law in 2005, Mr Gürkaynak worked as an attorney at the Istanbul, New York and Brussels offices of a global law firm for more than eight years. Mr Gürkaynak heads the competition law and regulatory department of ELIG Gürkaynak Attorneys-at-Law, which currently consists of 45 lawyers. He has unparalleled experience in Turkish competition law counselling issues with more than 20 years of competition law experience, starting with the establishment of the Turkish Competition Authority. 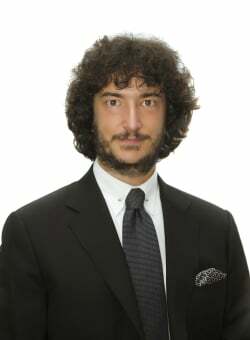 Every year Mr Gürkaynak represents multinational companies and large domestic clients in more than 35 written and oral defences in investigations of the Turkish Competition Authority, about 15 antitrust appeal cases in the high administrative court, and over 85 merger clearances of the Turkish Competition Authority, in addition to coordinating various worldwide merger notifications, drafting non-compete agreements and clauses, and preparing hundreds of legal memoranda concerning a wide array of Turkish and EC competition law topics. Mr Gürkaynak frequently speaks at conferences and symposia on competition law matters. He has published more than 150 articles in English and Turkish by various international and local publishers. Mr Gürkaynak also holds teaching positions at undergraduate and graduate levels at two universities, and gives lectures in other universities in Turkey.